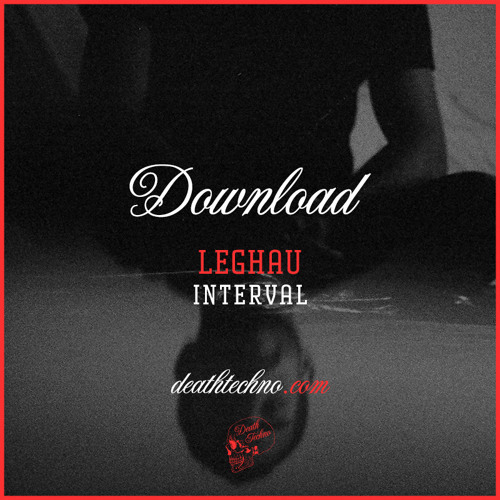 @Leghau http://deathtechno.com/2017/12/04/dtd-leghau-interval/ The latest DT:Download comes from recent (DTMIX152) guest Leghau who is dropping a free track for our readers called “Interval“. The French-Berlin based artist continues to push his awesome sound and gain more and more plaudits having released on labels like Electric Rescue’s Skryptöm, Len Faki’s Figure, Dynamic Reflection and many more. The track itself is restrained, looping and modular all in one, creating vivid images of computer circuitry in battle with itself. The understated and hypnotic flow it encompasses provides progressions in the form of intense pulses, and where the break builds to a highlight crescendo delivering the goods as an effective DJ tool.